This is the best picture of the bunch, seriously. 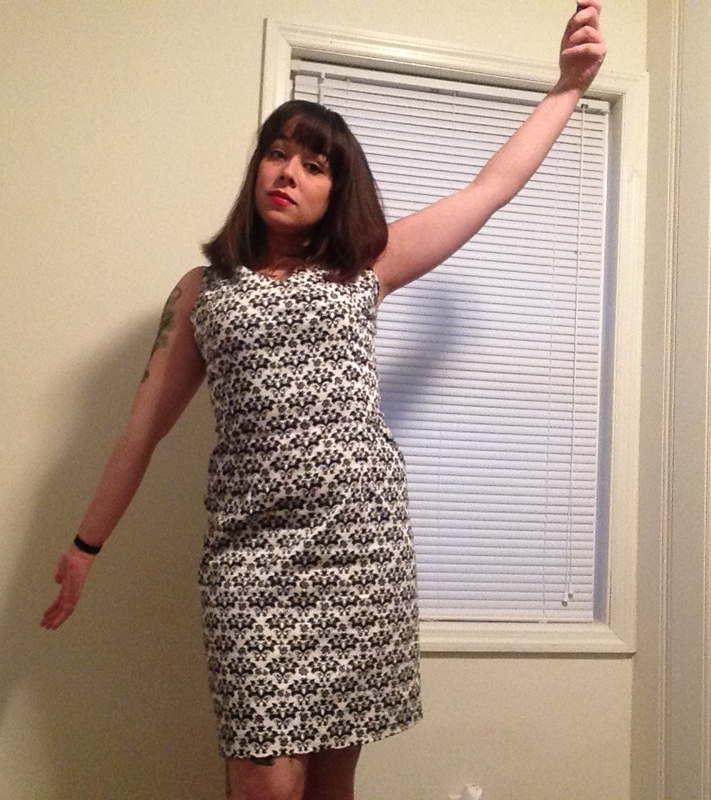 The dress is Butterick 6582, and the fabric is an absolutely lovely stretch sateen. I’ve had both in my stash for so long, I can’t remember where they came from or when they were purchased! The pattern calls for light weight fabrics, but I just can’t get on board with the drapey fabrics tight on my midriff. Never going to happen. 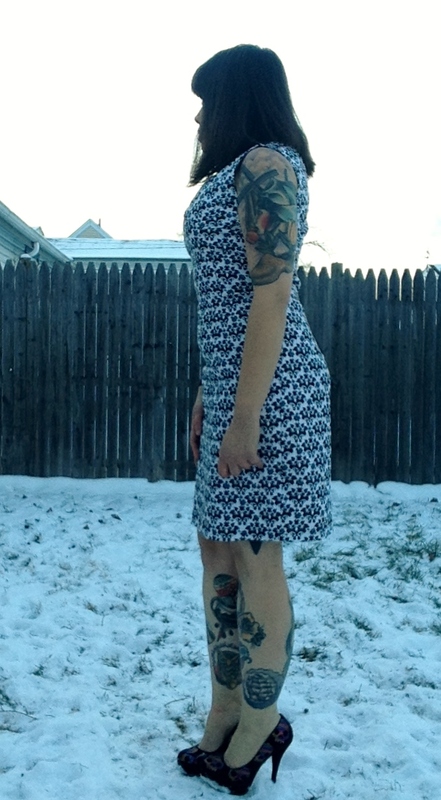 Based on the reviews, I also lowered the neckline a bit, but I think I should have lowered it even more. 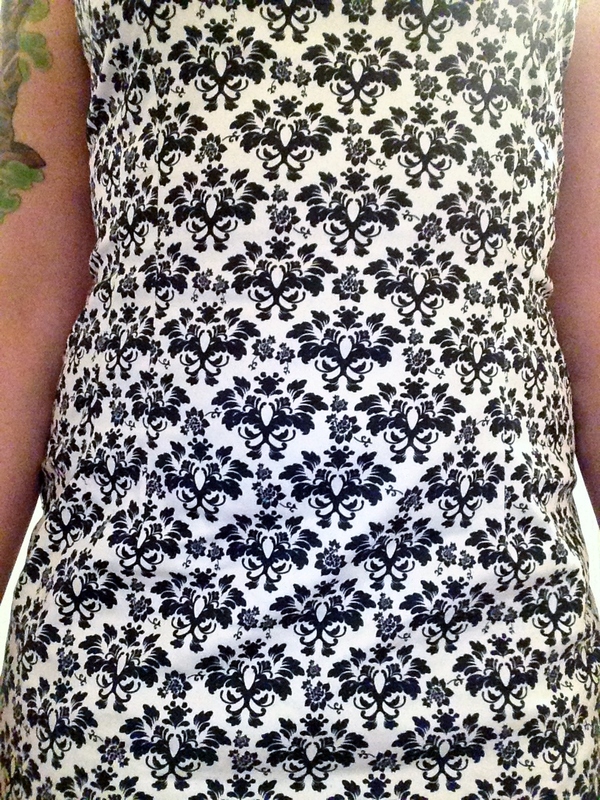 With the print, I still think it looks a bit matronly, you know? Not exactly my aesthetic. This pattern also features lovely double pointed darts, which I think are also a bit lost in the print. It was a bad fabric choice, that’s what I’m trying to get at here. 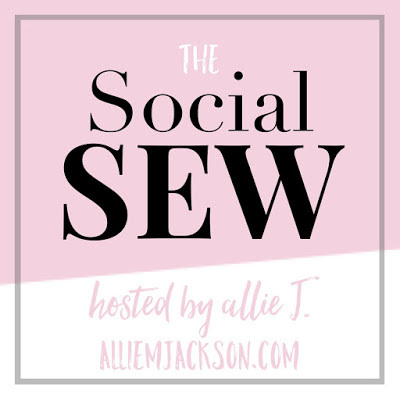 Never rush your sewing choices, folks. Looking for the darts makes my eyes hurt. 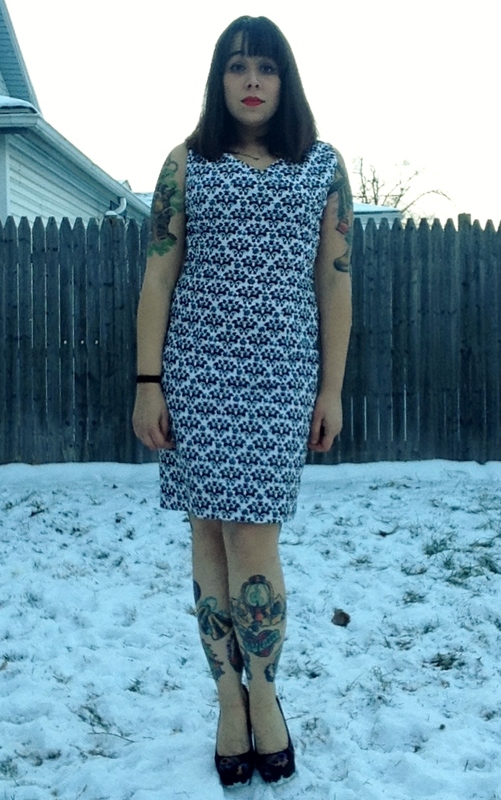 For this pattern, I cut a size 12, which is pretty standard for me. I raised the hem about three inches, as I don’t think the longer, intended length is flattering on me. As mentioned, I lowered the neckline, and I must admit, it was a bit unsuccessful. 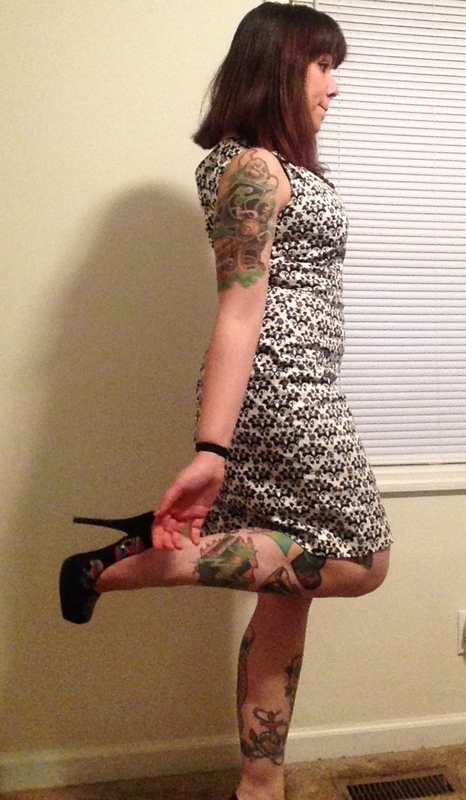 You see, I made this dress for a work Christmas party, and I was rushing to meet the deadline. Again. I didn’t put enough time into getting it just the way I wanted. Between the botched neckline and the stiffer fabric, it has none of the intended drapey-ness. It’s a bummer. Some pretty serious derps, but check out those shoes, though. The pattern is fairly easy to put together, as it’s only four pieces plus facings. This was first time sewing double pointed pleats, and I love them. They’re so flattering, even if you can’t tell in any of this pictures! I swear, I actually do have a neck. Stupid hair+shadows. Oh I think that’s just these terrible, terrible photos. I’ve worn boat neck things in the past with no problems, and I sometimes have to take the shoulders in on garments. Thanks!!! I have to master the tripod lol.